MP2 calculations with cc-pVTZ basis set were used to analyze intermolecular interactions in F3CX···YLi···NCCN and F3CX···NCCN···LiY triads (X = Cl, Br; Y = CN, NC) which are connected via halogen and lithium bonds. 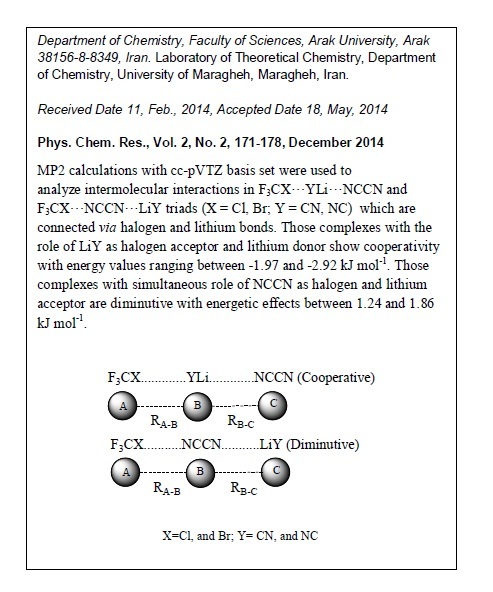 Those complexes with the role of LiY as halogen acceptor and lithium donor show cooperativity with energy values ranging between -1.97 and -2.92 kJ mol-1. Those complexes with simultaneous role of NCCN as halogen and lithium acceptor are diminutive with energetic effects between 1.24 and 1.86 kJ mol-1. 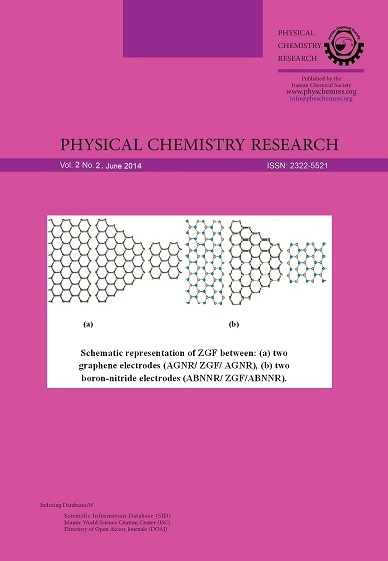 Results of energy decomposition analysis revealed that the electrostatic interactions are the major source of the attraction in the title complexes. The nuclear quadrupole coupling constant values at the sites of halogen atoms can be regarded as good descriptors to quantify the degree of cooperative/diminutive effects in the title systems.